To coffee lovers, Kapeng Barako is known to them, but did you know that it could be found in Taal Batangas. 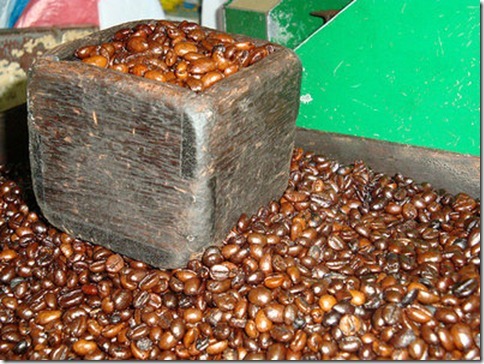 Kapeng Barako is one the famous delicacies that Batangenos are proud of. It is available in the market. Locals normally drink this coffee in the morning. However did you know that there are some locals who love to pour out this coffee in their rice with matching “tuyo” (dried fish) specially on a cold season like this month of December. I used to do this also. Sometimes we also love to dip the “pandesal” (bread) in the hot coffee. I love to remember when I use to this stuff while staying in Batangas. Anyway yearly I still visit my parents and relatives in this place. By the way if you are visitor of this place don’t forget to try out Tapang Taal from Gerry and Lheen (my parents store). So have you tried doing this? Let me know your experience.